This lightweight, full coverage concealer includes natural ingredients like Shea Butter and Olive Seed Oil for a moisture-rich, satin finish. Water- and wear-resistant, our new liquid concealer uses microsphere technology for a silky feel, easy blending, and diminishes the appearance of fine lines. 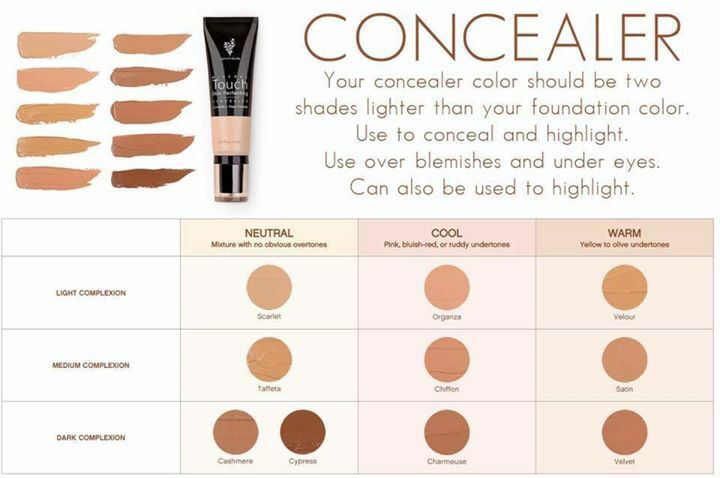 If You Have Skin Issues (Scars, Blemishes, Rosacea) Get A Concealer That MATCHES Your Foundation. If You Have Dark Circles and Clear Skin: Choose a color two to 3 shades LIGHTER than your foundation. Available in 10 familiar shades. Younique Touch Skin Perfecting Concealer is available for $29 USD exclusively through Younique Presenters. Clicking the button below will take you to my official Younique Website where you can order securely. Use The Guide Below To Choose A Color For Blemishes, Scars and Skin Issues IE: Rosacea Get A Concealer MATCHING Your Foundation. If You Have Clear Skin Or Dark Circles Get A Concealer 2-3 Shades LIGHTER Than Your Foundation. 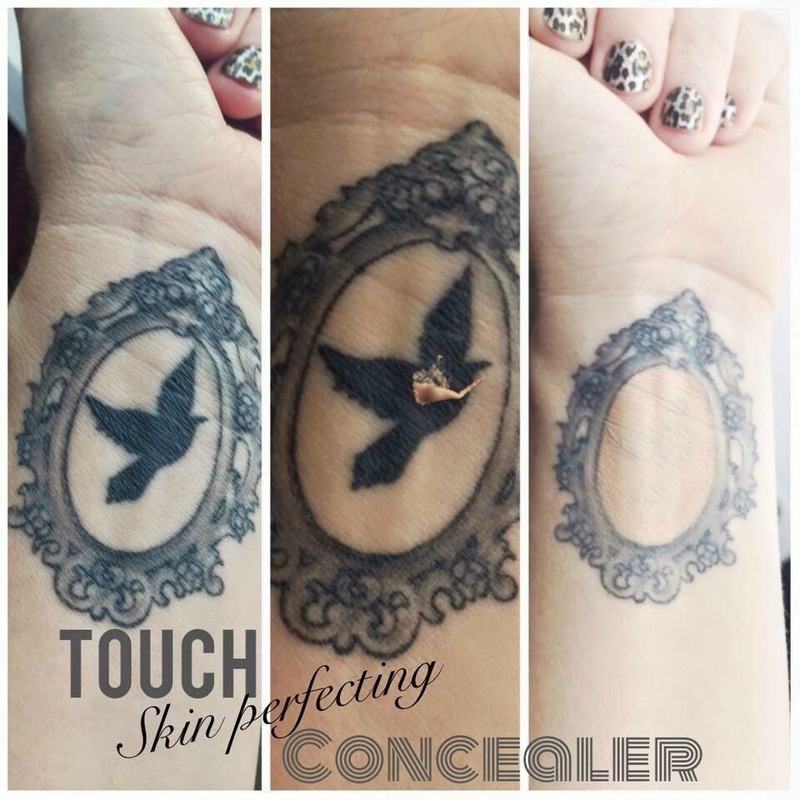 Younique Concealer is So Great At Hiding Imperfections It Can Even Cover Tattoos! My Review Of Younique Skin Perfecting Concealer: I was so excited when I was able to buy all the new products before anyone else! I got this Younique Concealer in my usual shade of Organza, this was a mistake however because you should go one shade lighter than your foundation. I was very impressed with how well this covers, a little goes a long way. The tube itself is very small but all you need is just a dot of it. It’s great for covering wrinkles, dark circles, fine lines, sun spots, pimples or any other blemishes. I feel like this is the perfect compliment to our New Younique Liquid Foundation and can’t wait for everyone to get their hands on it.